Why are program success stories still so low? states that Project/Program leaders require leadership skills – and relevant experience – as well as a relevant Project/Program management certification. Well, who could disagree with this? Education is a crucial step - but not the only one. There’s no substitute for experience. Simply having a “certificate” doesn’t mean you have the ability to lead and manage a project or program – or effectively manage the people involved. “Graduates” may have passed an exam and understood the processes and terminology, but often they don’t have the gritty hard-won experience needed to lead a program. How would you like to be operated on by a surgeon who had only recently read a few books and attended a seminar on your particular surgical procedure? Agile is a slogan most executives have heard. It's been around for quite some time. The widespread failure of “big bang” programs has made the Agile method of Project management more popular in sectors outside IT. Agile is certainly a good process - but only if it's used the way it was intended. 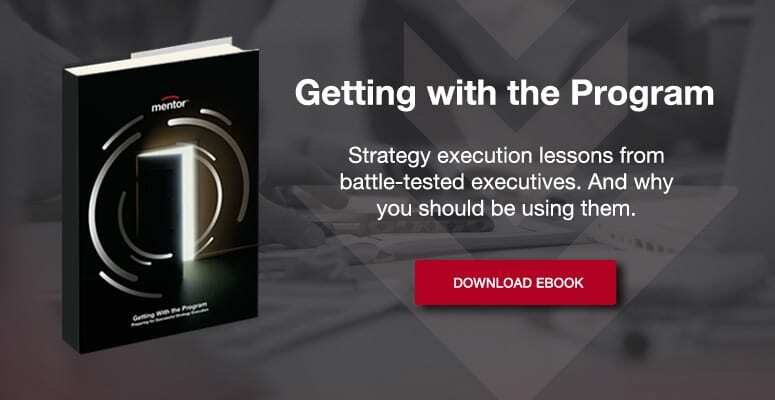 It’s a common-sense way of breaking down a top-level strategy execution plan into flexible phased stages. It has one huge benefit. It forces people who contribute directly to a project to work closely together, without all the chaos associated with silo-based approaches. This is usually a significant drag on most projects. It also helps to unearth ‘unknowns’ and risks allowing teams to react more quickly with mitigation plans and approved changes. But too often it’s used as an excuse for surprise delays, sloppy planning and ‘nod of the head’ changes which not only add cost – but push out timelines. You can’t “plan as you go” on a business-critical transformation program. You must have a firm foundation on which to make smaller, but more predictable, changes. Raconteur’s report also contains some fascinating statistics, highlighting the percentage of projects that finish on budget. They’re astonishing. The Financial services sector is comfortably the worst performer at 0.5%, closely followed by Telecoms with only 7%. IT and Government projects are ranked at 20%. Companies with a PMO seem to get better results. But simply having a PMO is not a miracle cure. A badly constituted PMO can do a lot of damage. “One in three unsuccessful projects fail to meet goals due to poorly engaged executive sponsors”. In an interview for the 2016 Project Management report by Raconteur, Langley states that “the PMO can provide a vital link between strategy and implementation. Without it, organisations face a higher risk of wasted work and redundancy of resources, which affect projects and ultimately, business performance”. For sure, an engaged executive sponsor will help. Training and certification in program management methodologies will help – and a properly created PMO, with “fudge-free” authority will help. But it’s not enough. It takes much more than this. The root cause of failure in two-thirds of projects lies squarely on the shoulders of executive teams who concoct feeble management and governance systems. Control systems that are ineffective – and out-of-touch with the specific requirements of a business-critical project. Is this what senior executives intend? The answer has to be a definite “no.” Executives want management and governance systems that do the job well. But in reality, executives are much less familiar with the demands of business-critical programs than they are with running their own operations. Apart from this, they are very busy people coping with a sheer deluge of information each day. It’s difficult to change pace in these situations and focus on a “new” challenge. “Why isn’t what we have good enough?” is a regular refrain. But it’s an area where a “one-size-fits-all” approach is actually a long way short of being good enough. If a program or project is intended to deliver transformational change – and it is business-critical – then accountability lies with the “collective” board – not just the sponsor – to implement an effective, custom-built, governance system. Successful governance systems don’t stomach stories, laced with caveats – but instead focus on hard facts and performance. Too many of them lack real project insights and precision. They invite “happy-talk” and tend to skate over serious problems, like investment levels, dependency management and resource allocation. And for as long as project governance systems lack relevance and precision, project success rates will remain where they are – treading water. Mentor helps companies with every step of strategy execution – from diagnosing the status of a program with our Independent Program Review – to providing real-time execution wisdom to you, as you work, to successfully accelerate change. Get in touch on +44 (0) 1189001252 for a confidential chat or email us at enquiries@mentoreurope.com. Mentor Europe > Blogs > Leadership Insights > Why are program success stories still so low? Many companies publish reports on Project Management – a subject close to our hearts. We have also written many articles on Program/Project management – all aimed at helping organisations to side-step the biggest stumbling blocks. Raconteur’s project management report states that Project/Program leaders require leadership skills – and relevant experience – as well as a relevant Project/Program management certification. Education is a crucial step – but not the only one. There’s no substitute for experience. Agile is a slogan most executives have heard. It’s been around for quite some time. Agile is certainly a good process – but only if it’s used the way it was intended.